Spirit Guardian_Let’s Celebrate Mother’s Day Together! There is a word that represents kindness, beauty, and understanding. Who is the first person that we should show our appreciation and give our thanks to on this day? It’s MOTHER! Today is Mother’s Day and we want to wish all the mothers around the world a happy Mother’s Day!! Thank you for always being there when we are in need! On this Mother’s Day, we mark the day with gratitude, happiness and love. We also want to show gratitude to all you players for the support you have given to Spirit Guardian. It is your dedication and love for the game that drives us forward. We sincerely appreciate you guys being here with us and we hope you will all enjoy this Mother’s Day. For this very special day, we have prepared awesome GIFT CODE for you! Plus a DOUBLE EVENT and other exciting activities with lots of amazing items are waiting for you to claim in-game. 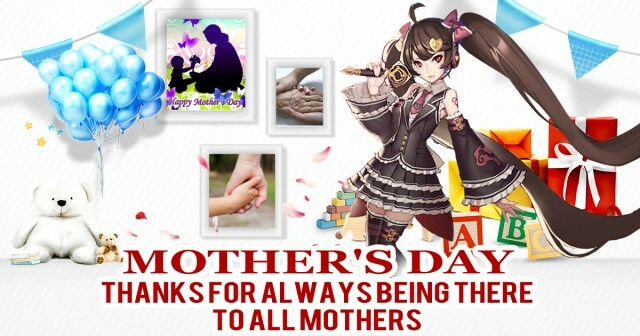 Take advantage of this big celebration and have a happy Mother’s Day in Spirit Guardian!! Each CID can use only once. Spirit Guardian_New Heroes Are Coming!